in Reports & Whitepapers, Social Media with tags consumer packaged goods, cpg, social commerce Both comments and trackbacks are closed. Today we released the third report in our summer-long social commerce series. This POV specifically focuses on social commerce strategies for consumer packaged goods (CPG) brands. Booz & Company projects that U.S. social commerce transactions will amount to $14 billion in the next four years. Meanwhile, CPG online sales are growing exponentially, with 50 percent of online shoppers having purchased personal care products and 40 percent having purchased food products online in the previous six months. These two trends together are creating vast opportunities for CPG marketers eager to become first movers in the space. 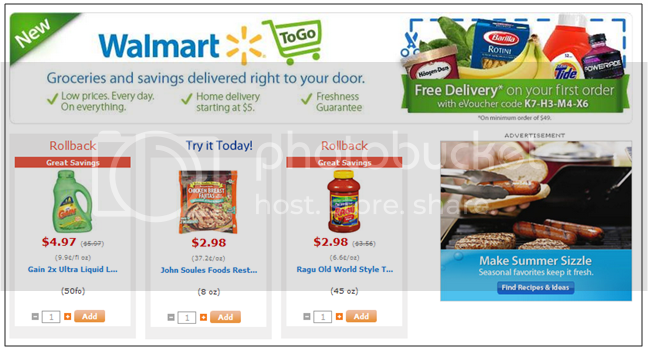 In April 2011 Walmart launched an online grocery delivery service called Walmart to Go.